This is just a small taste of the kind of richly layered understanding that electronics experts have, but it's rarely found all in one place. Interactive Exercise Click the circuit above. When you click, the CircuitLab software opens in a new tab in your browser. You can run a simulation of the circuit pictured, and then you can modify the circuit and run it again. While simulation can never completely replace hands-on electronics experimentation, it's a handy tool to make learning electronics faster and easier. Studying electronics goes hand-in-hand with calculus, linear algebra, differential equations, and classical physics (including thermodynamics, electricity, and magnetism). These are complementary. Studying electronics will enhance your understanding of calculus as much as studying calculus will enhance your understanding of electronics. Michael F. Robbins holds the S.B. in Electrical Science and Engineering and the M.Eng. in Electrical Engineering and Computer Science degrees both from the Massachusetts Institute of Technology. Mike is the co-founder of CircuitLab, Inc. and developer of the CircuitLab circuit simulation software used by universities, hobbyists, and practicing engineers in 196 countries. 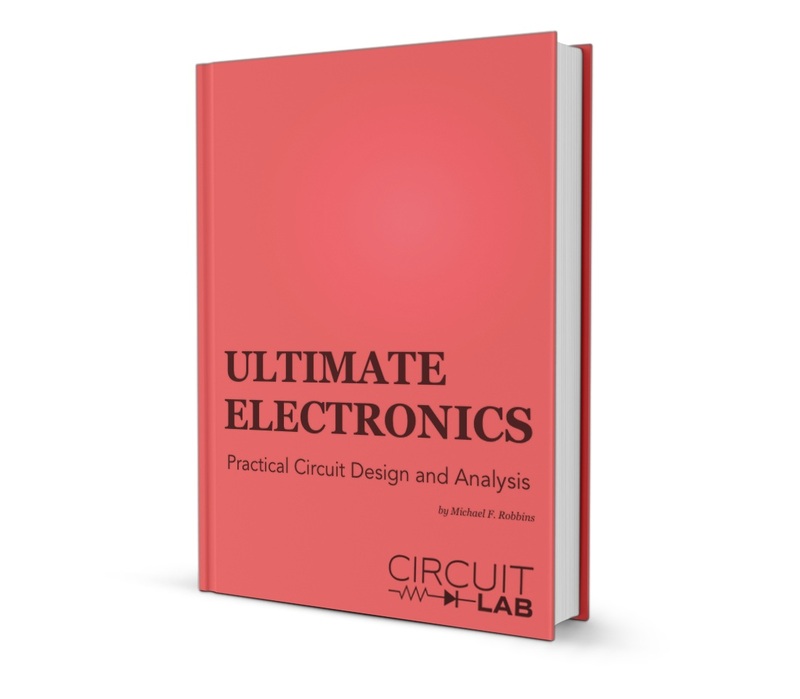 In the next section, Schematics & Simulations Tutorial, we'll briefly introduce how to use the schematic capture and circuit simulation features built into this interactive book.